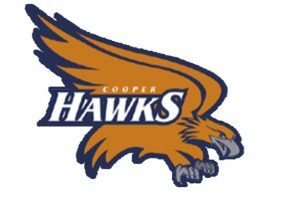 The Cooper girls basketball team, playing in the state tournament for the first time, won the class AAA championship Saturday as the Hawks defeated Northfield 49-37 in the title game. Cooper jumped out to an 8-0 lead to start the game, but cold shooting in the first half for the Hawks and a buzzer-beating jumper by Northfield’s Grace Touchette saw the Raiders pull within 20-18 at halftime. Cooper came out strong to begin the second half, stretching their lead. A long three-pointer by Andrea Tribble increased Cooper’s lead to eight, and the Hawks were never seriously threatened after that. Aja Wheeler scored 15 points and added seven steals to lead the Hawks in the final. Cooper finishes its magical season with a 29-2 record.